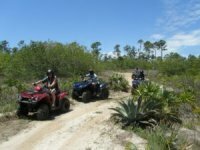 Off-road ATV tour, tropical garden & beach break, Freeport, Grand Bahama, Bahamas. 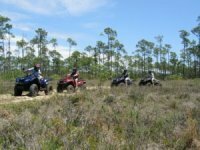 This is a trail through native vegetation with many turns and a few hills as well. 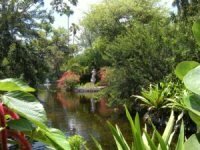 Your guide will give you an informative introduction of the environment during a stop. An enjoyable and safe ride for beginners and experts as well.